Mysimba is the UK name for the American weight loss drug Contrave. Although the drug was approved for use as a prescription medication in America in 2014, and is already in use in some European countries, it was not granted a UK medical licence until 2017. At the time of this review, Mysimba was not available as a prescription weight loss aid, but its UK launch was expected to occur before the end of the year. Currently there are several weight loss products that are available to buy without prescription that are a better proposition than MySimba as far as we are concerned. PhenQ is one example. 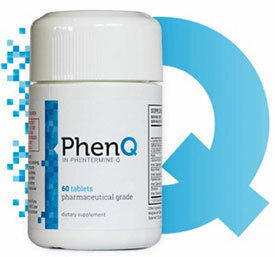 PhenQ is a multi benefit diet pill that can burn fat and suppress appetite – it does not cause side effects and has a long 60 day money back guarantee. 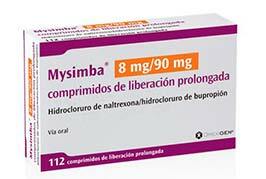 Mysimba is a weight loss medication that contains the drugs Naltrexone and Bupropion. Naltrexone is normally used as a treatment for people who are addicted to opiate drugs or prone to alcohol abuse. Bupropion is an antidepressant. It is also sometimes prescribed to people who have stopped smoking and need help to battle the craving for cigarettes. How Does Mysimba Help You To Lose Weight? Mysimba is an appetite suppressant. Diet drugs of this nature curb hunger cravings and help make life easier for people who are trying to cope with eating less food. When the drug is used in conjunction with diet and exercise, it should help create a calorie deficit that is great enough to cause the body to begin burning its stores of fat to obtain extra energy. The appetite suppressing effect provided by Mysimba is achieved because of the drug’s ability to cause chemical changes in the brain that neutralize the desire for food. This is believed to be largely due to Bupropion’s ability to increase dopamine activity. Usage Instructions – The tablets have to be taken with water and swallowed whole. It is also recommended they be taken with food. The initial dose is one tablet per day. This is gradually increased until the maximum dose of two tablets, two times per day is achieved (week 4). At the time of our review Mysimba was yet to be launched in the UK, so no customer reviews were available. However, we found plenty of customer comments about Contrave (the same drug). Who is MySimba Suitable For? Mysimba is not suitable for people who are using some kinds of medication, including codeine, pimozide, and MAO inhibitors. It is also unsuitable for anyone who has certain medical conditions, such as diabetes, heart disease, and mood disorders. The combination of Naltrexone and Bupropion used in Mysimba is known to be capable of causing many side effects, including hot flushes, restlessness, muscle pain, liver damage, and suicidal thoughts. According to the European health watchdog, Prescribe, the slight weight loss the drug provides makes it “too risky for only modest weight loss“. Customer reviews suggest their evaluation is bang on the money. Where Can I Buy Mysimba? 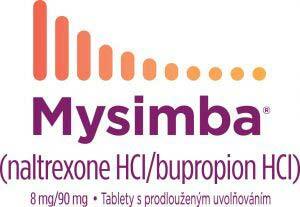 You can only buy Mysimba from a pharmacy if your doctor has issued you with a prescription. Looking at customer reviews, and the damning evaluation provided by Prescrire, Mysimba appears to have the potential to help people to shed a few extra pounds, but it does not appear to be a particularly powerful drug and the potential for side effects is so high the bad points far outweigh the good. The top weight loss supplements available are capable of providing far superior results and can do so without presenting the same risk of side effects. Bearing this in mind it is hard to understand why anyone would want to risk using a weight loss drug that is as controversial as Mysimba. The drug was created in America by Arena Pharmaceuticals, has somewhat of a chequered past, and is not deemed an acceptable weight loss option in many countries of the world. Arena Pharmaceuticals first submitted BELVIQ to the Food and Drug Administration (FDA) for approval in December 2009. The following September the FDA refused to approve the drug due to concerns about its safety and efficiency. The fact that some studies suggested the drug had caused tumours in rats was particularly damning. In May 2012, after additional studies had been conducted, the FDA advisory panel voted in favour of making BELVIQ available as a prescription only weight loss aid and a press release was made public the following month. Attempts were made to distribute the drug in Europe as well, but the European Medicines Agency took a look at the information Arena Pharmaceuticals had provided, were worried about the possibility of tumours and that the drug may be damaging to the heart valve. When the Committee for Medicinal Products for Human Use contacted Arena Pharmaceuticals with a list of questions about BELVIQ the company withdrew its application. BELVIQ cannot be legally distributed in any European countries and this is a fact that is unlikely to change in the future. BELVIQ is an appetite suppressant. Appetite suppressants are designed to help people to eat less food without having to live with the distraction of hunger pangs. Feelings of hunger are one of the biggest hurdles dieters have to face and can often be the deciding factor that causes dieters to forget their good intentions and break their diet. Use of appetite suppressing drugs or supplements may give dieters the extra support they need and ensure weight loss success. 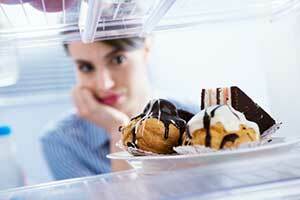 Appetite suppression can be achieved in a number of ways. BELVIQ works by activating receptors in the brain and this ultimately leads to a feeling of satiety that allows the user to feel satisfied with less food. A reduction in eating levels results in a decrease in calories and, if the level of calories consumed per day drops to a level that is less than the body requires, fat will need to be mobilised and burned to provide extra energy. BELVIQ is only available as a 10mg capsule and the correct dose is one capsule, twice per day, which can be taken with food or without food. It is also very important that the drug be used as part of an overall weight management program that includes a healthy diet and regular exercise. This one of the stipulations the FDA put in place when they granted their approval, and patients who fail to lose 5% of their bodyweight after three months will not receive any further prescriptions. The FDA have issued strict guidelines doctors must use to decide a patient’s eligibility. Patients must have BMI of 27 or more and suffer from a weight-related health problem, such as high cholesterol or diabetes. When a patients BMI reaches 30 or higher doctors are permitted to write a prescription even in cases where no health problems are apparent. However, doctors can also refuse to issue a prescription if the patient’s medical history suggests BELVIQ may not be a safe option. As far as pregnancy category goes, the FDA considers BELVIQ to be an “X”. Drugs that are placed in this category can pose a risk to the fetus, so BELVIQ is not suitable from women who are pregnant. It may also be unsuitable for people who have heart problems, sickle cell anaemia, leukaemia, kidney problems, liver disease, or certain other medical conditions. 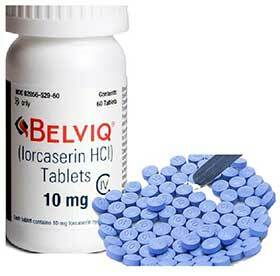 BELVIQ is not suitable for use alongside some medications including lithium, St. John’s Wort, and monamine oxidasae inhibitors. BELVIQ is listed in Schedule 5 of the Controlled Substances Act because it is a drug that could be abused and used for recreational use. There is also a danger of addiction, so BELVIQ may not be suitable for anyone who has a history of recreational drug use and/or dependency issues. 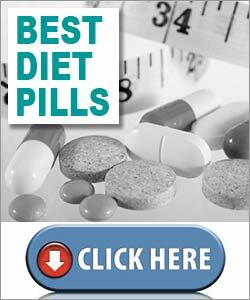 There are several diet pills that are available right now that do not pose any risk of side effects and have been thoroughly tested. One of the best examples is PhenQ – a non prescription multi cation diet pill that is a fat burner, fat blocker and appetite suppressant. We are SlimmingUnlimited. You can contact us via about me page or join our newsletter. We are an education and entertainment organisation represented by this website. The content should not replace advice given by a doctor or qualified healthcare provider. The content on this website is subject to copyright, this includes text, images and videos. This website is operated for commercial interest and publishes content written by a third party. The owners of this website are not responsible for any content that is generated by third parties in terms of reviews, articles or comments. If you have a complaint about any part of this content then your first course of action is to email using the email address supplied in the contact page.